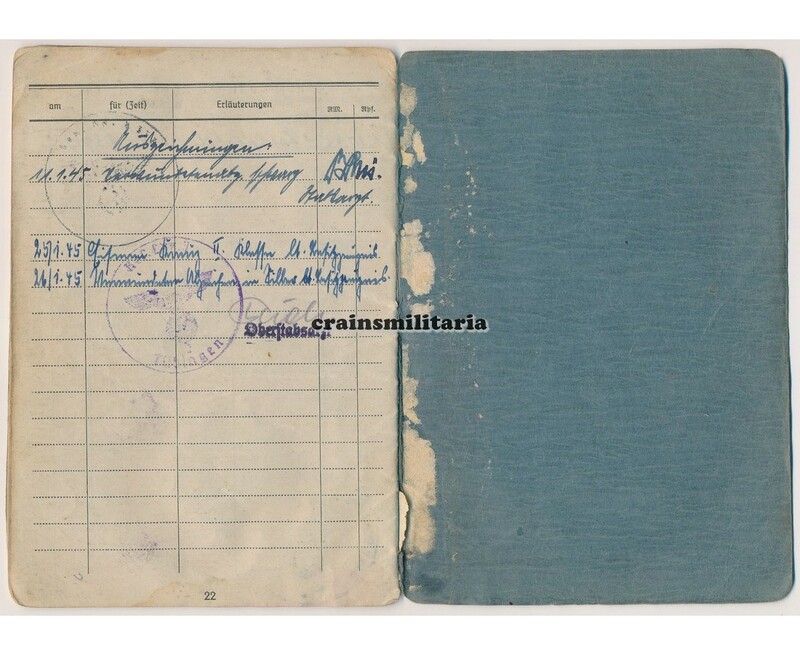 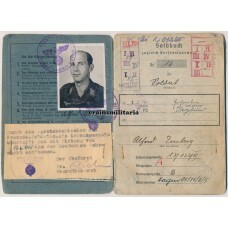 Soldbuch to Obergefreiter Alfred Imberg, born in Gelsenkirchen and living in Volmarstein. 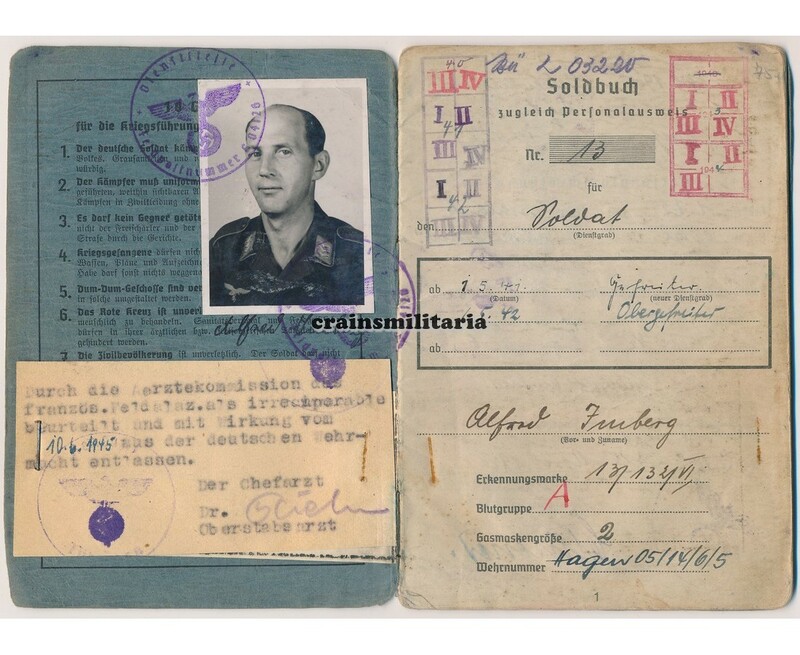 Imberg served with Luftwaffe Landesschützen units in Warschau and the Heimat from April 1940. 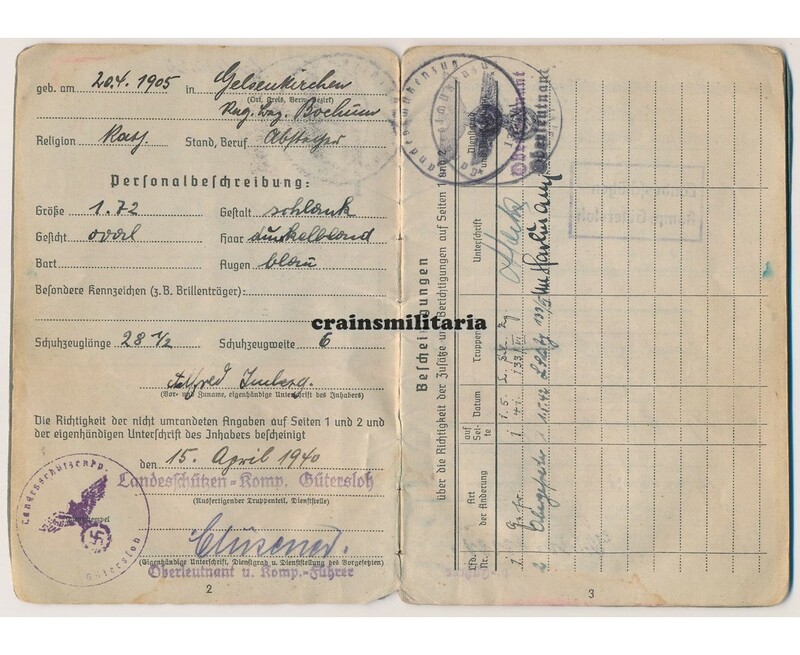 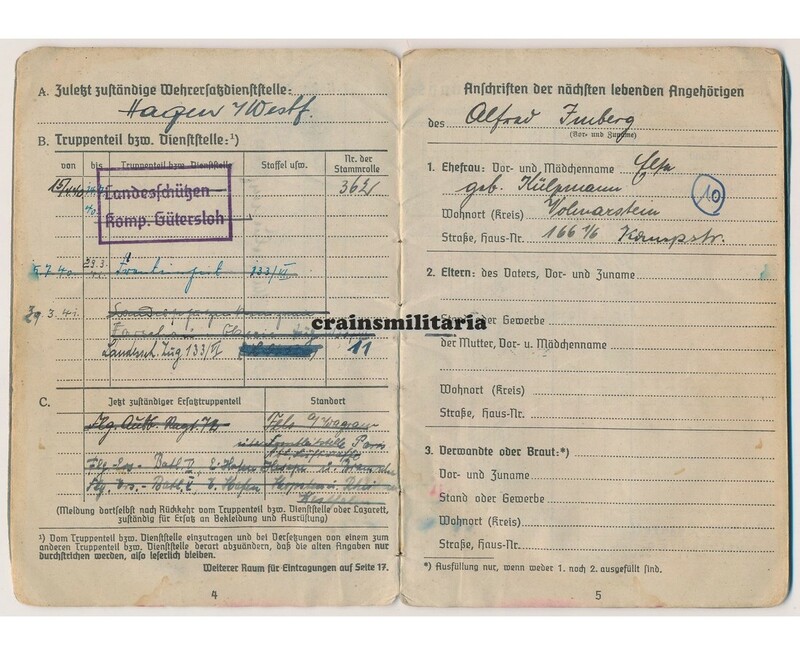 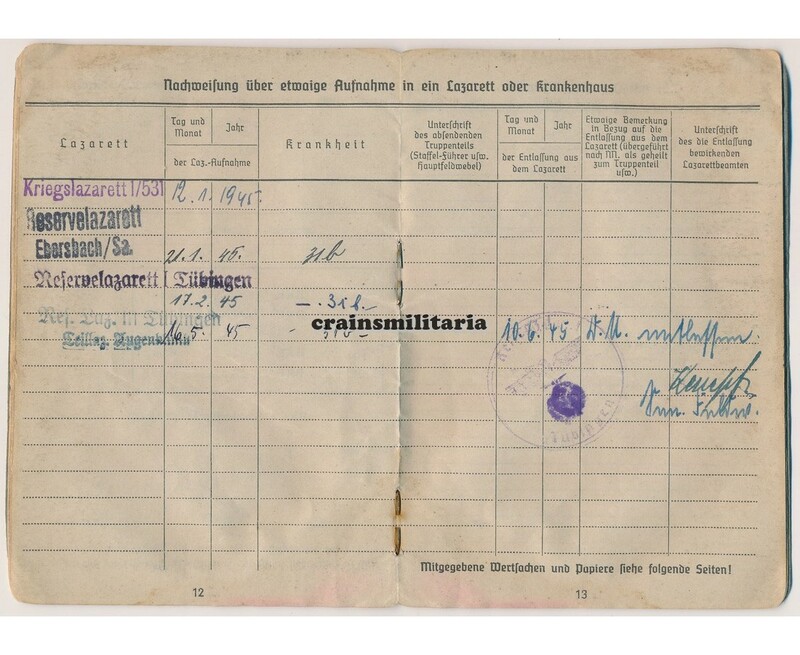 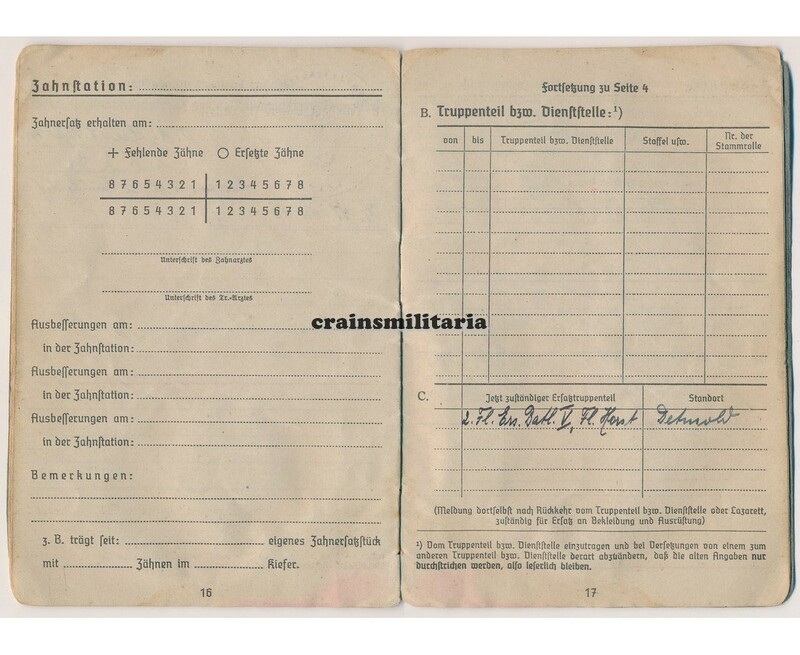 He was badly wounded by shrapnel in January 1945, possibly leading to an amputation: his Verwundetenabzeichen in Schwarz was issued to a silver grade that same month, and was also combined with the Eisernes Kreuz 2. 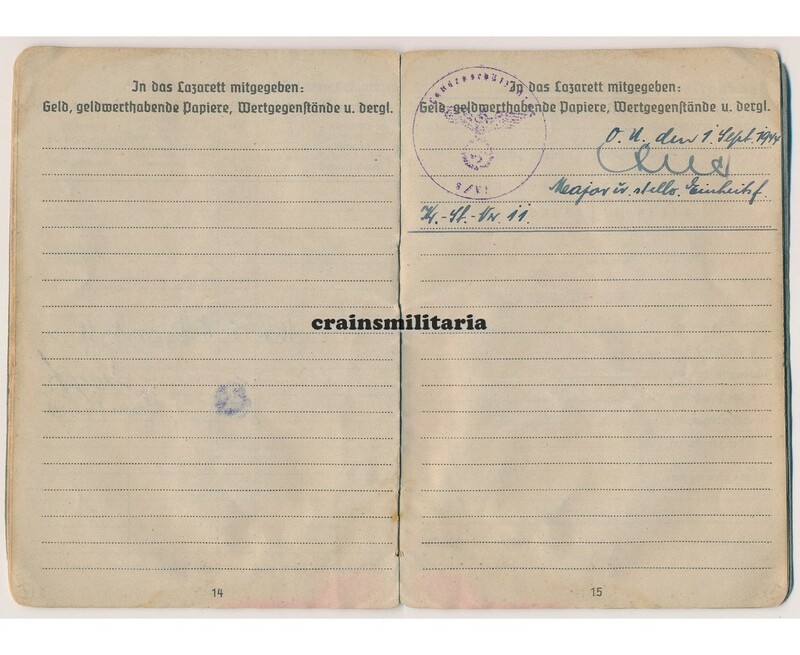 Klasse. 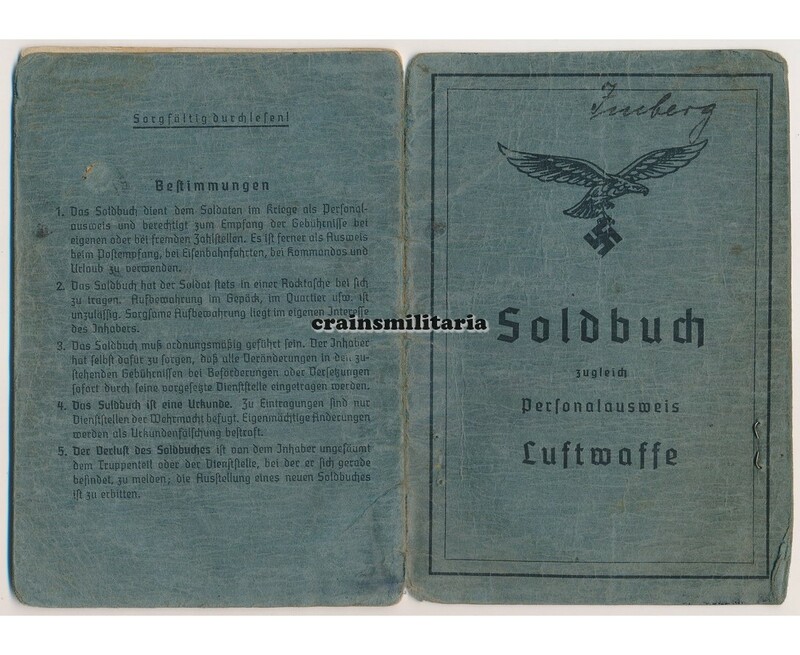 The Soldbuch is complete except for the leave pages 23/24. 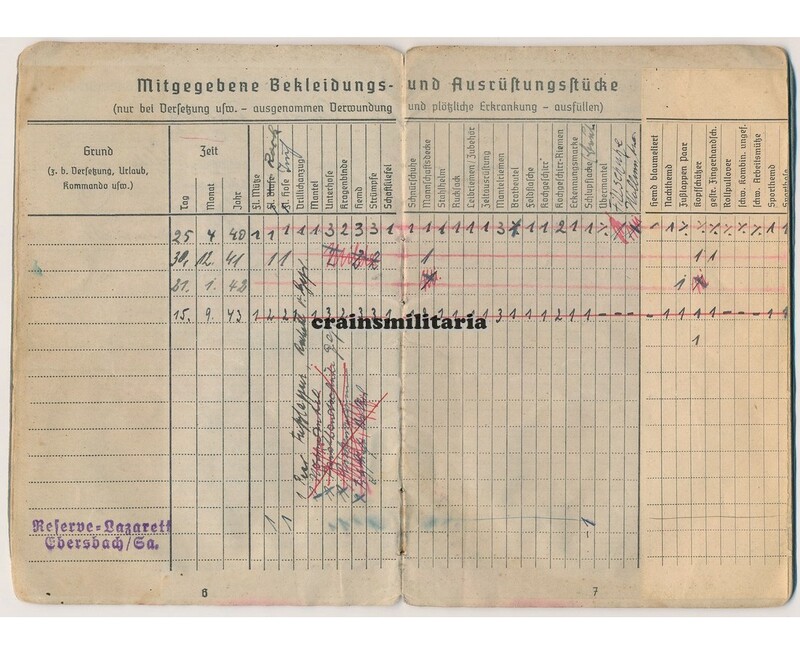 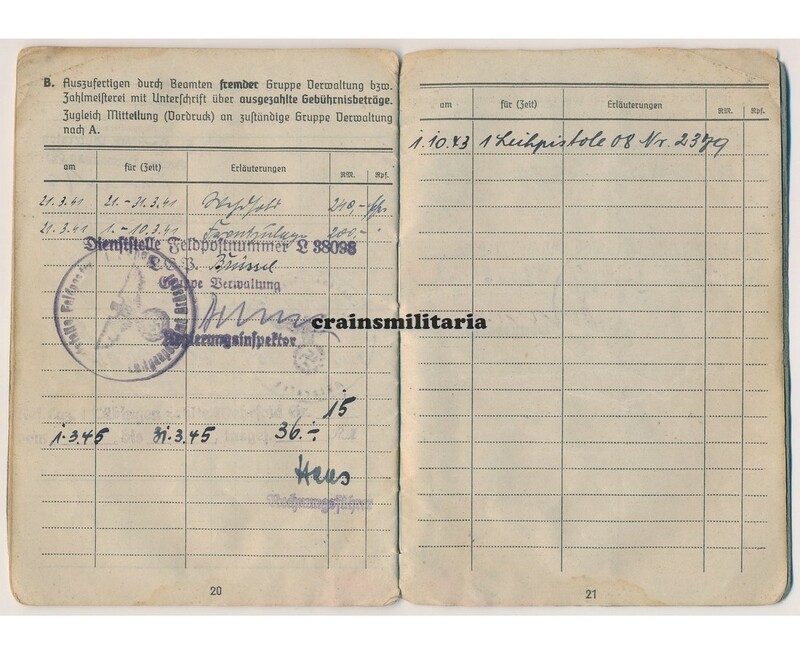 Notice the entry of a "Leihpistole 08" on page 21: he was issued a Luger pistol that was not his private property.